Nice, small width; could be used on "inchies." Each 3/16" x 10-1/2". 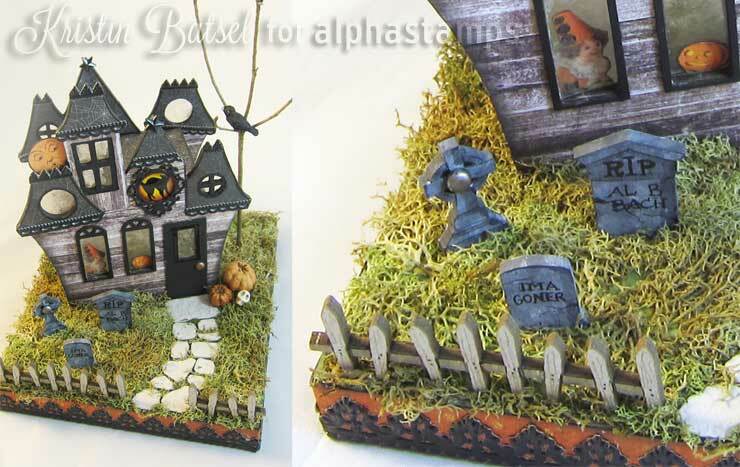 Design Team Member Kristin Batsel made a Tiny 3D Haunted House (see the wide photo below). More info (including a tombstone tutorial) in the blog and/or see the supply list.